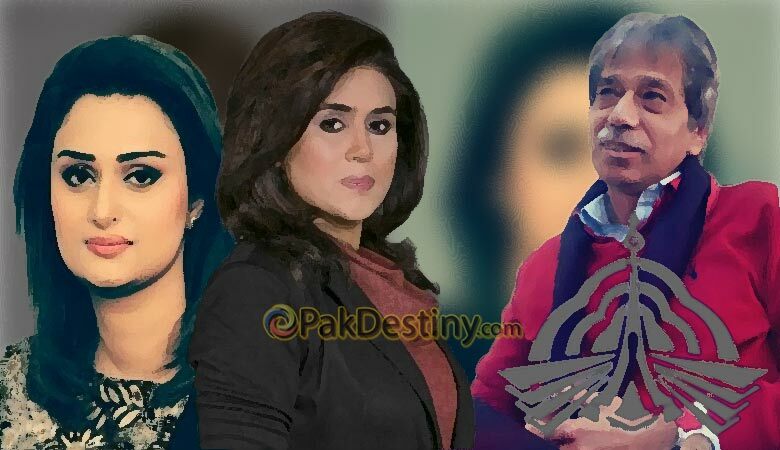 (Pak Destiny) As PTV anchor Tanzeela Mazhar has resigned after failing to get justice, a number of female anchors at private TV channels are also facing similar issue but they are not daring to being it forth because of fear of losing job. I will cherish my working with PTV. Overall, the environment at this office had become absolutely non-conducive and I was being threatened in every possible way to submit to that environment to secure my job and career,” she alleged. “This happened as a result of my constant complaints against PTV’s current affairs director who made unwelcome advances at me in 2009. After my resistance/confronting [my abuser] on his attitude, I was exploited and put off screen for [a] few months. I resigned because the man in question was reinstated,” Tanzeela said. “In an inquiry on my complaint of harassment against Masood Shorish, PTV committee asked me why did not you leave job if u were harassed?” she said. “When I raised my voice, people responded with [degrading] comments about women, and our character and personal lives, without understanding that what we do in our private lives is a private matter,” said Tanzeela who plans to launch a campaign against harassment of women at workplaces. Another PTV anchor Yashfeen Jamal has also lodged a formal complaint with PTV management about the current affairs director making sexual advances and harassing the two. Both girls were taken off air for ‘defaming’ the organisation by PTV through a notification issued on Jan 23. When u get hired without merit and on reference then u should expect that, ppl who do not have journalism experience , never worked as journalist and they get such jobs only in ptv on reference and connections and then they complain, ironic. It’s actually noteworthy that you never see men resigning when they are accused of such misconduct. tanzeela u should have fought for justice.